For many years we succeed in producing a salami which matures and is stored in the mountains to the right cut firmness. 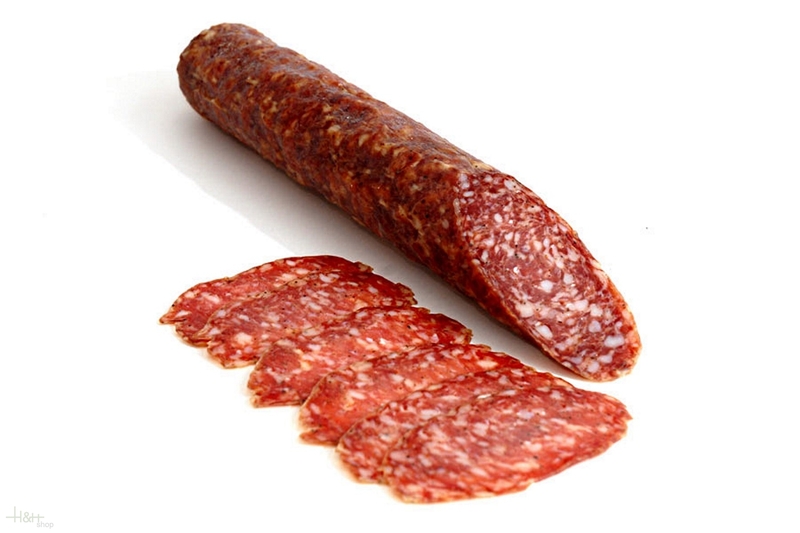 Our mountain salami consists of controlled, thin and tender pork which is enriched with natural spices and is dried in rough height air. There was originated a Sarntaler craft product which distinguishes itself by it's spicy, but not to sharp taste. We were successful in producing a brand product with long durability for everyone. Ideally for mountain travellers, tourists or everyone who would like to enrich his Marende with a Sarntaler lusciousness.